Thursdays, April 4 to May 30, 2019, from 5–6:30 p.m. 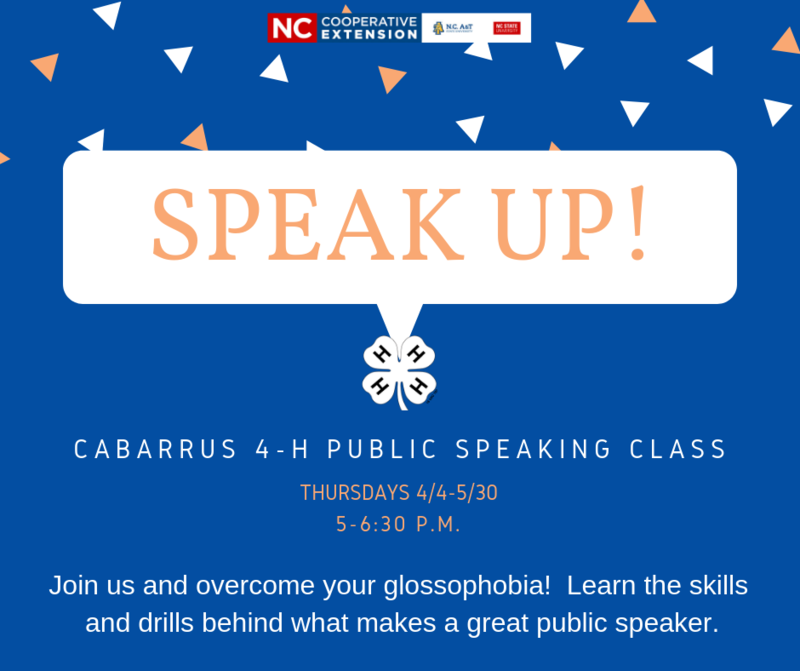 Youth will have the opportunity to participate in the 4-H Presentation and Public Speaking Contest held during County Activity Day, May 16, 2019, to earn scholarship money to attend N.C. 4-H Congress and state presentation competitions. • Volunteer to Help With 4-H Sewing Classes! • Call to Reserve Your 4-H Layer Hens Today!